Summary: Lalan Kishor Singh, a production worker in Nagpur, India, recently raised vital questions in an open letter on the relation of workers and intellectuals, the failures of established socialism and communism, and the future of Marxism. A response follows by Peter Hudis, who visited Nagpur in November, followed by Singh’s reply. Arvind Ghosh has translated Singh from Hindi — Editors. Nagpur, India—Revolutionary New Year greetings to all friends from a worker in India! This open letter might alarm as well as annoy you to think: how is it that an ordinary worker who does not have much knowledge or understanding of Marxism dares to write this open letter? It is a fact that here in India many of the Marxists have an entire library of books written by Marx and Marxists with them and they are all knowledgeable people. 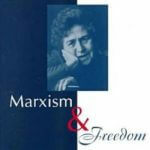 Most of them are Marx-scholars and can explain and analyze Marx’s thoughts from their own point of view. I am an ordinary worker and have not studied in depth the works of Marx. 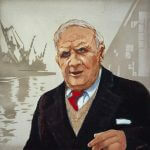 However, I know this much: the essence of Marxism is to free the working class from exploitation, to eliminate private property from society, establish a society free from all forms of exploitation and fear; a society where production is according to the needs of human beings, a society where workers have full control over the process of production as well distribution. Marx had seen the spread of capital all over the world, seen the bourgeoisie run around from one end of the planet to the other for profit, committing all kinds of crimes for more and more profit and accumulation of capital, subjecting the entire working class to more and more exploitation and suffering. He gave a call to the world working class to unite and destroy capitalism and create an exploitation free society with its organized power. Today we have in India quite a few Marxist parties along with a few small organizations working in the name of Marx. There are many home-based Marxists without any following whatsoever. All these parties, groups and individuals proclaim loudly about their being Marxists but sadly the workers whom Marx had given a call to unite against capitalism are far away from these parties, groups and individuals. Who is to be blamed for this situation? Do the workers have no faith in these organizations and individuals, or is there a divergence in the theory and practice of these Marxists, between what they say and what they do in life? It is a fact that the conduct of the Marxists reflects their organization and their relationship with the working class. For example one of the Communist Parties had supported the state of Emergency imposed by Indira Gandhi in 1975 when all democratic rights of all citizens including the working class were suspended for a period of 18 months. This was a fatal blow to the Communist movement in India and since then the communists as well the Communist Parties have continuously vacillated between different factions of the bourgeoisie. They have never remained firm on the communist principles. This I believe is the reason why working class has lost faith in the communists and is moving away from them towards the right-wing forces. This is sad and unfortunate and there is a legitimate apprehension that this phenomenon may confine Marxism to the clubs of the intelligentsia in days to come. 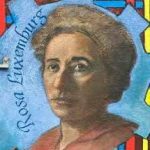 As far as Marxists are concerned, their concern today is less on vital questions like how the workers can be freed from exploitation or how the existing society can be transformed. Instead they seem to be more concerned with questions like whether the seeds of Stalinism were already there in Leninism or if Leninism would be useful or useless for the next revolution; whether Stalinism and Mao Zedong thought were deviations from Marxism or not etc. They ponder over the question of appropriate forms of party organization or even whether the form of party organization is appropriate at all for working class revolution! We welcome our Marxist friends if they wish to engage themselves with these serious issues but they should not forget that Marx had said that the philosophers till today have only interpreted the world, the point however is to change it. When the Marxists come out of their own closet to change the real world they will have to be firmly rooted among the workers who today are far away from them……. I am a worker; giving shape to raw iron is my job. I work on the basis of daily wages but I am deeply disturbed to know what happened during Marx’s early life. There was a frontrunner philosopher of those days by the name of Proudhon who had written a book on the Philosophy of Poverty to which Marx had responded with his book: The Poverty of Philosophy. We are not in a position to explain the content of the debate. Our Marxist friends can explain better! We are however deeply perturbed lest workers turn further away from our Marxist friends who are engaged in purely philosophical debates, and consequently the struggle for socialism becomes more distant. Regarding the tasks before the communists: we believe the communists and Communist Parties, if they are truly so, do not compromise on principles. They ought to make a class analysis of different political parties and place them before the workers. The first and foremost task of the Marxists should be to spread revolutionary consciousness among workers and help strengthen their organizations. However if we look at the current work of Indian Marxists from this standpoint we find an exactly opposite scenario. Their activities appear to be like any other bourgeois or petty-bourgeois political party. This scenario does not help the working class to differentiate these Marxist parties from the bourgeois parties in any way. This has turned workers away from communism and has pushed them into bourgeois consumerism thus strengthening the enemy class. Regarding the most important event of the last century— when the Bolshevik Party seized power under the leadership of Lenin, the whole world came to know that working class of Russia had seized power and the slogan of Lenin and the Bolshevik party too was: “All power to the Soviets.” But soon after the revolution, a civil war broke out and 14 imperialist nations encircled Soviet Russia, which made it extremely difficult to hold on to its socialist objective. Soviet Russia was compelled to fight against internal as well as external enemies at the same time. As a consequence Russia, which should have moved towards socialism, moved away from it to embrace state-capitalism. Finally, in the late eighties and early nineties of the last century the East European nations along with Soviet Russia, still known to the world as socialist countries, collapsed. With the collapse of “actually existing socialism,” the world bourgeoisie appeared triumphant and could raise the slogan: “There is no alternative to capitalism” with impunity. This slogan in the backdrop of this collapse of socialism has had a negative impact upon the world- working class against capitalism, including in India. 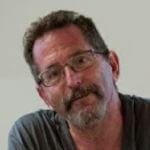 Peter Hudis, an American Marxist author, a member of International Marxist-Humanist Organization (who visited India recently and presented his viewpoint before us) has written a book: Marx’s Concept of the Alternative to Capitalism which addresses this scenario. The viewpoint that emerges from his book is that socialism, which we had been advocating for a long time, has proved inadequate. 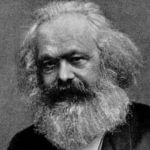 Peter Hudis makes a theoretic assessment of socialism, communism based on the entire works of Marx. He finds that in a society based on alienated labor—where the Law of Value is operating, where a worker is compelled to produce according to an abstract social average, where concrete labor is converted into abstract labor are all signs of a capitalist society. The conversion of private capital into collective capital under the control of state may be an expression of socialism but is not the socialism of human liberation as envisioned by Marx. 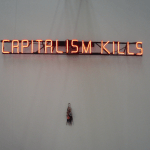 Rather it is a new form of capitalism, i.e., state capitalism. Having said this Peter asks the question: Where to begin anew? Answering this question, Peter says we have to begin with Marx again. It implies that the Indian Marxists who had been claiming to be following Marx will have to rethink Marx again. This worker too agrees with Peter Hudis on this. Here in India too, if the Marxists intend to destroy the existing capitalist system and build socialism, then we have to begin anew from Marx since only Marx provides an alternative to capitalism. Many “Marxists” think their task is to lead, and the task of the workers is to follow. They give lip service, of course, to Marx’s statement that “the emancipation of the workers must be the task of the working-class itself.” But when push comes to shove, most see their role as providing leadership for the masses, who are presumably too ill informed or “backward” to know the way forward. In doing so, they show they have not broken with the fundamental hallmark of class society: the division between mental and manual labor. The point you make about the support of the Communist Party of India (CPI) for Indira Gandhi’s declaration of a state of emergency in the 1970s is revealing. Did it do so out of belief that maintaining Gandhi’s alliance with the Soviet Union was more important than democracy? We experienced something similar in the 1940s, when the U.S. Communist Party (which had considerable support at the time) reversed its previous support for the anti-racist struggles of the Black masses once Hitler invaded the Soviet Union, on the grounds that nothing should get in the way of the U.S.’s alliance with the USSR. The problem goes much deeper than Stalinism, of course, since a top-down, elitist approach to politics is all too common among other leftists. I cannot count the number of “Marxists” who reduce theory to programs or strategy; they don’t seem to even understand the difference between the two. I’m not denying that programs and strategies are important at times, but it is often forgotten that people are not inert objects to be shaped by some programmatic approach; they are subjects with minds of their own. It therefore comes as no surprise that workers often keep their distance from such groups; they have enough experience with elitism in their jobs and everyday life as it is. I much appreciate your point that “Communists and Communist Parties, if they are truly so, do not compromise on principles.” This raises the question, why are communist or socialist parties or organizations needed at all? We know that genuine social revolutions are not “made” by parties, so what role can revolutionary organizations play that do understand the need to listen to workers and not treat them like blind sheep? But what is the point to seizing state power if one does not know what to do with it, and how can one know what to do with it without a comprehensive understanding of how that becomes but an initial stepping stone to a fundamental social transformation? The traditional socialist and communist parties, rooted as they are in Social Democratic and Leninist models, have no problem answering this question. Their task is to lead the masses, whose task in turn is to follow. They define the objectivity of their subjectivity in the wrong way. But what about radicals who oppose the concept of a vanguard party to lead? They often have great trouble explaining their objective role. For some, it is because they assume the workers are no longer revolutionary and therefore see no reason to reach out to them. For others, it is because they think the workers are so revolutionary that there is no need to offer them leadership (either political or theoretical) or any kind. Such groups inevitably devolve into little more than insular sects discussing sacred texts. We are facing a very big problem if, after 100 years of revolution, the question of how to create an alternative to capitalist society remains unanswered. We cannot wait upon an answer forever. We must actively work it out now, through an active international dialogue between workers and intellectuals. This, to my mind, is the reason for being of any viable Marxist party, committee, or grouping today. It is the task to which the International Marxist-Humanist Organization (IMHO) is devoted, and it is the one and only thing that gives us—or any Marxist grouping—its historic right to exist. That right is neither given to us nor to anyone else; it has to be proven through concrete results. In engaging in this work, we proceed from the Marxist-Humanist conception that there is a movement from practice that is itself a form of theory as well as a movement from theory striving to reach philosophy. The practical struggles of workers and other oppressed people are sources and forms of theory; we reject the assumption that ideas mainly emanate from the heads of intellectuals. At the same time, we believe Marxism must be further developed as a philosophy of liberation and not reduced to a dogma or ideology. There is always a risk of succumbing to the latter; we left News and Letters Committees in 2008 and formed the IMHO because it had succumbed to that very defect. I look forward to further discussion and collaboration with you and your co-workers, as we strive to “rethink Marx again” (as you put it) for the realities of our times. Many thanks to you that you have read the open letter from a worker meant for the Marxists, and have responded to it with your comments! I am satisfied to an extent by your comments and agree with you that there ought to be dialogue between workers and revolutionary intellectuals. Looking at the centralization of capital on the international scale, we realize that there ought to be regular interactions and dialogue between workers and intellectuals of different countries for which your organization IMHO may prove to be an effective platform, through which the condition of Indian workers as well as reports of their struggles may reach workers in other countries as well as the Indian workers get to know the about the struggles of workers in other countries. I would like to place before you two important news of international importance that I have read in the newspapers recently both of which I feel affects the working class. The first one is a happy one although a bit laughable but the second one is extremely sad and will bring about extreme misery upon the working class. The first news was published in the mouthpiece of CPI (M) here that in the recently held conference of Chinese Communist Party a declaration has been made that China aspires to become a socialist country within a period of next 20 years! It sounds laughable but is pleasant to our ears that a socialist country is being born soon! The second news is shocking. It says that by 2030, 800 million jobs will be lost. Some staunch Marxists here have proclaimed that that these workers would be replaced by robots. Now the question is: will the robots replace workers in agitation against capitalism? How will capitalism come to an end without the agency of workers? How to inspire workers to agitate against capitalism today if they are likely to face this bleak scenario within the span of a decade? We have to think seriously on how to combat the emerging situation on a world scale, for which international dialogue is the need of the hour. There is a need for an international platform of workers to fight against the designs of the multinational companies. Communist organizations do exist in most of the countries but unfortunately they remain confined within their own countries. We believe that your organization IMHO can serve as a platform through which we may establish contact with the communists and militant workers worldwide to combat the crisis facing our movement today. When the workers are already facing serious crisis worldwide, will not loss of 800 million jobs push them in much deeper crisis? We need to reflect upon it seriously.